Cable television For today. 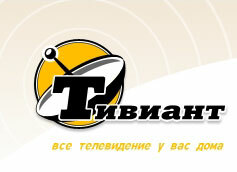 «Tiviant» is the official operator of cable television in Krasnoyarsk. The aim of the company is to create unigue city net of cable television in Krasnoyarsk. Cable nets installing is in progress in four districts of our city: Zheleznodorzhnyy, Octiabrskyy, Sovetskyy, Botanicheskyy, and also in two suburbans-Jemeljanovo, Taskino. Today an active work is creation our own TV-channels.